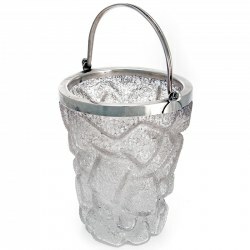 Ice Buckets There are 6 products. 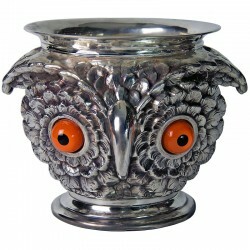 A handsome looking silver plated Victorian style jardiniere or ice bucket molded as a long eared owl with realistic bright orange glass eyes. 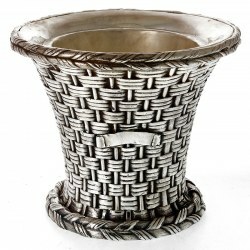 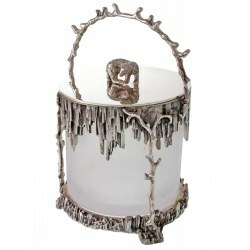 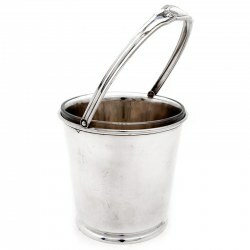 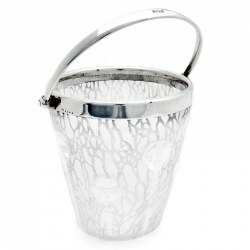 A decorative cast silver plated ice bucket in the style of Elkington & Co.
A Stunning Victorian style silver plated lidded ice bucket with a figure of a Polar Bear, frosted glass liner and coral swing handle.